Anodised Aluminium is the most popular type of metal nameplate for applications such as rating plates for electrical and industrial equipment, instrument panels and machine control panels, etc. It combines an attractive appearance with excellent durability of an image, even in arduous industrial environments. Variable Information, Consecutive Numbering etc. Aluminium is highly suitable for the addition of variable information (either at the point of manufacture or on site by the customer) by utilizing metal punches to permanently indent data into prepared panels on the plate. Also, our computer controlled numbering machine can consecutively number your plates with virtually any height of number you require. Anodised aluminium is unusual because the image is actually fused into the surface of the metal, which imparts great durability to the printed information. Please note that all anodic colours (with the exception of black) are transparent dyes, and so give metallic colours, Pantone or other non-metallic colours are available, but these would be surface printed inks. Fixing Holes, Radius Corners, Special Shapes etc. Most standard fixing holes, radius corners etc. are available free of charge from our vast range of stock tooling using our computer controlled press. For special requirements, we can supply custom tooling at low cost. 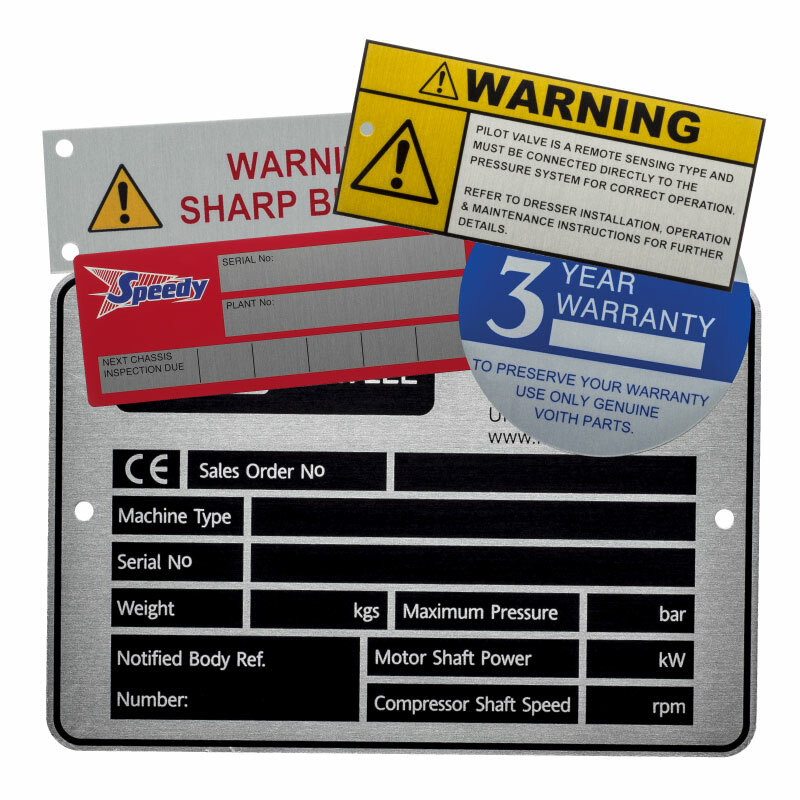 Pressure sensitive adhesives and cleanly removable clear protective films can be applied to your nameplates.